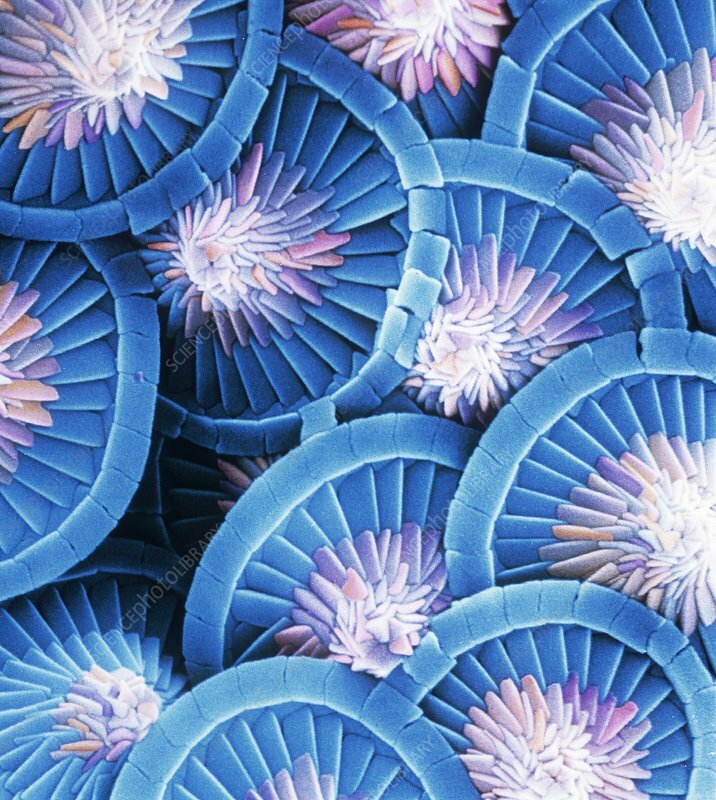 Calcareous phytoplankton. Coloured scanning electron micrograph (SEM) of a Acanthoica acanthifera skeleton. This small algal organism (coccolithophore) is surrounded by a skeleton (coccosphere) of calcium carbonate plates (coccoliths). When the organism dies, the plates separate and sink to the ocean floor. Individual plates have been found in vast numbers and can make up the major component of a particular rock, such as the chalk of England. This specimen was collected in the North Atlantic.